1943 Dad worked Days & is going out again tonight Morning Tour. No Mail Today. They put caned Milk on Red Ration list Today. 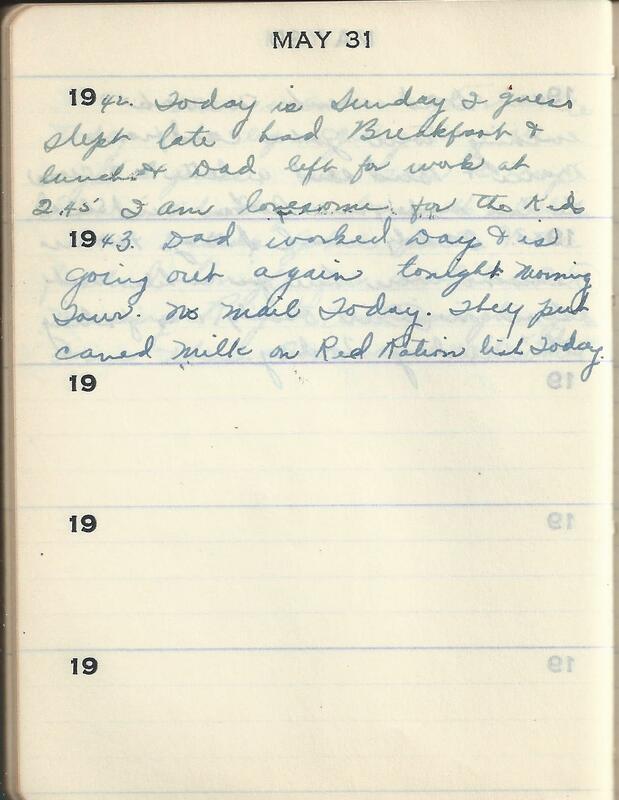 1943 entry: “Red Stamp” rationing had covered all meats, butter, fat, and oils, and with some exceptions, cheese.